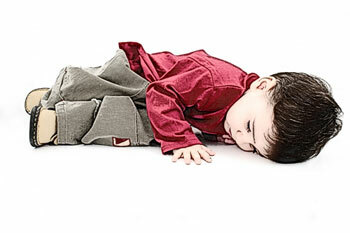 Bedtime fading offers a strong solution to curb toddler bedtime tantrums and promote significant improvements in sleep patterns, according to Flinders University sleep experts. Toddler sleep disruption is a significant problem, with studies showing that sleep difficulties affect up to 67% of pre-schoolers aged 18 months to 4 years, who take more than 30 minutes to fall asleep. Of these children, up to 18% take longer than 1 hour to fall asleep. Bedtime fading is a technique that involves putting young children to bed while drowsy, with the aim to gradually diminish the parent's presence over time. This simple and swift intervention can be easily implemented by parents at home with minimal instruction, and research led by Flinders University sleep psychologist Dr Michael Gradisar shows that parents who have implemented bedtime fading report immediate improvements to toddler sleep patterns and fewer bedtime tantrums. The trial, conducted at Flinders University's Child and Adolescent Sleep Clinic, involved 21 children aged between 1.5 and 4 years (mean age 3.0 years), with 60 per cent being females. The results showed that immediate improvements were observed after treatment commenced – including a reduction in the amount of time taken to fall asleep, less time spent awake during the night, and the number of tantrums just before bedtime. The study also found that these gains had been maintained during a two-year follow-up appointment. Several parents reported that they successfully implemented bedtime fading again within this two-year period, showing that their knowledge of theory, techniques and procedures was useful whenever it was required, to prevent any lasting relapse of sleep disorders. Parents commonly try a variety of treatments and strategies to resolve their children's sleep problems. Unfortunately, some resort to physical punishment or medication. 'Parents admit they are often at the end of their tether by the time they seek professional help – but behavioural solutions tend to be the best answer to sleep solutions," says Dr Gradisar. These trial results show that bedtime fading stands tall among the solutions.